Why are Australian family businesses not considering diversity of thought - in particular, gender diversity - as a growth strategy? 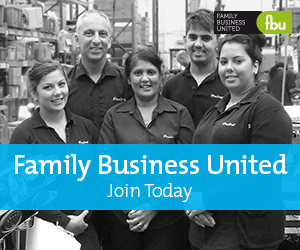 The latest survey conducted in Australia shows family businesses are responding to the issue but that they are improving slowly and by accident, rather than through a concerted strategic approach. The business world, as we know it, has changed and business as usual is no longer enough. For businesses to grow we need innovation. We need a leadership team that will challenge the status quo and challenge one another to encourage innovative thinking which will lead to growth. Survey respondents showcased family businesses approach to diversity with caution. They are dealing with family and planning for the long term, so setting up positive foundations outweighs setting targets. To ensure positive foundations are set, family businesses need to consider whether they have appropriate governance in place to encourage diverse thinking at the leadership table.